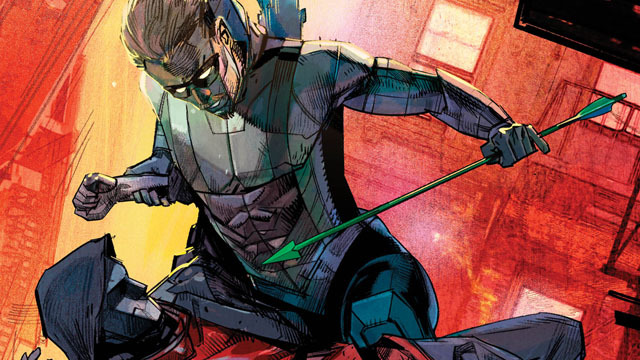 There’s a new villain making Green Arrow‘s life hell, and his name is Citizen! He’s leading a revolt against the one percent, and he’s weaponized regular people who want their own brand of justice. Oliver Queen has been put in Citizen’s sights because he’s accused of a crime that even Ollie thinks he’s guilty for. But in reality, Oliver is innocent, and even Citizen knows the truth. That hasn’t stopped him from trying to take out the man behind Green Arrow’s mask. It’s also why Oliver allowed himself to be captured by Citizen. However, that may have been a mistake. In Superhero Hype’s exclusive preview for Green Arrow #47, Julie and Shawna Benson, and artist German Peralta have skipped right past the trial and on to the verdict. Citizen is so convinced his followers want Ollie dead that he’s strapped him to an electric chair. Luckily, Oliver still has a few allies in his corner, including the Green Arrow. Digg, is that you? You can read the full exclusive preview in our gallery below. 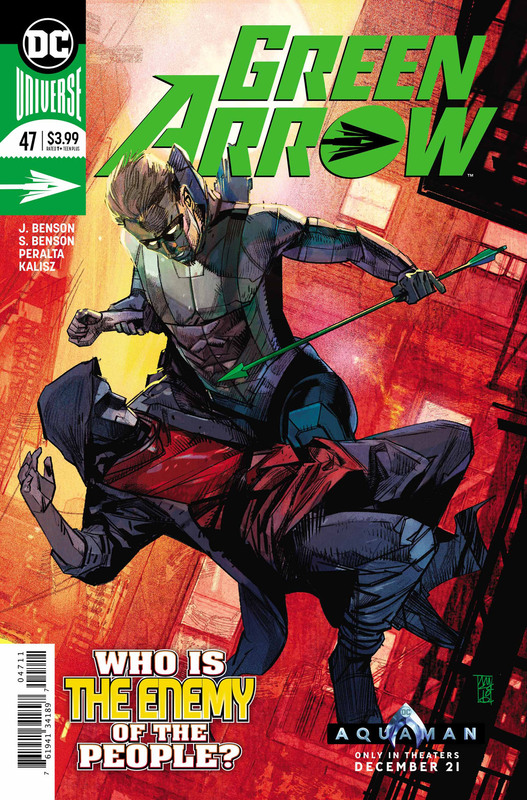 Green Arrow #47 will be released on Wednesday, December 5. Let us know what you think in the comment section below!